Vestavia Hills’ Pete Dazzio wrestles Spain Park’s Gage Hughes in the 170-lb class in a match on Jan. 3 at Spain Park High School. Journal photos by Mark Almond. The Alabama High School Athletic Association wrestling tournament is fast approaching, and Vestavia Hills hopes to improve on last season’s third place finish. Vestavia claimed back-to-back state championships in 2016 and 2017 before being dethroned last year by Thompson’s victory. Central (Phenix-City) claimed second place. The Rebels already have played against some tough competition, visiting New Orleans for the Trey Culotta Invitational at Brother Martin High School and Brentwood, Tennessee for the G.P. West Invitational. They finished second as a team in New Orleans, while senior Pete Dazzio finished first in his usual 170-pound weight class. In Brentwood, the Rebels claimed third as a team, while Dazzio wrestled up a class and finished second in the 182-pound class. Dazzio feels like his team is in good shape to accomplish its goals. Vestavia Hills’ Carter Gill (red) defeats Spain Park’s Andrew Moses in the 182-lb class. He has personal goals that he continues to reach for as he leads his team to the postseason. But he’s confident that if he and his teammates can polish things up, they’ll make a strong run. Dazzio is one of the many at Vestavia Hills who have spent a decade or more in a competitive youth and high school program. The Rebels defeated Hewitt-Trussville in AHSAA State Duals last week. 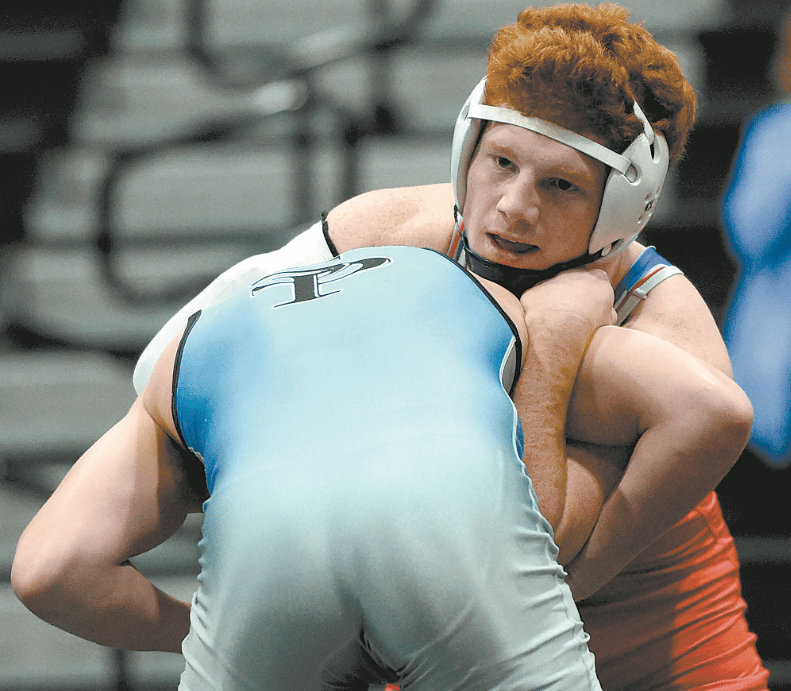 Vestavia Hills was set to meet Hoover in the State Duals on Tuesday. The championship of the State Duals and location will be based on that outcome. This year’s super section tournaments take place Feb. 8-9, while the state tournament follows in Huntsville on Feb. 14-16.